The Large Sky Area Multi-Object Fibre Spectroscopic Telescope (LAMOST), also known as the Guo Shoujing Telescope after the 13th-century Chinese astronomer, is a meridian reflecting Schmidt telescope, located in Xinglong Station, Hebei Province, China. 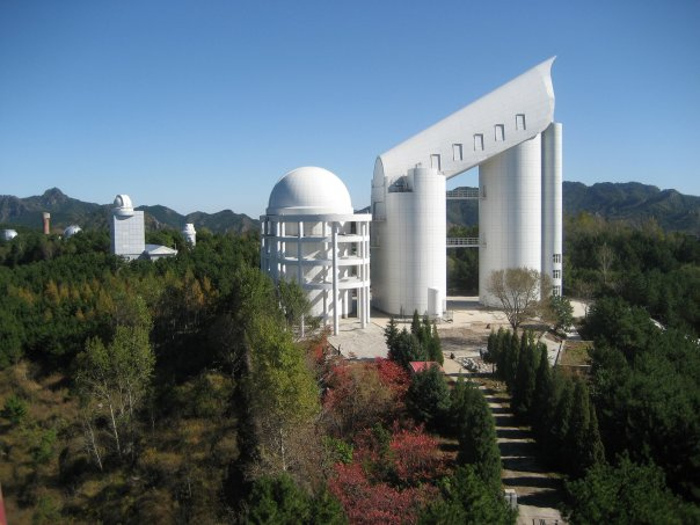 It is a National Major Scientific Project undertaken by the Chinese Academy of Science. This unique instrument combines a large aperture (4-m telescope) with a wide field of view (circular region with a diameter of 5 degrees on the sky) that is covered with 4000 optical fibers. It is the ideal tool to obtain low-resolution spectra (R~1800) for a large number of objects in a homogeneous and efficient way. The LAMOST Extra-GAlactic Survey (LEGAS) and the LAMOST Experiment for Galactic Understanding and Exploration (LEGUE) were the two initial scientific driving forces for the LAMOST project. However, it was soon realized that the observation of the field-of-view of the nominal Kepler mission with LAMOST would be a pure scientific goldmine, being a win-win opportunity for both communities: it would provide the Kepler community with the data needed for a homogeneous spectroscopic determination of stellar parameters for objects observed by Kepler while the LAMOST community could benefit from high-precision results derived from data obtained elsewhere for Kepler objects to calibrate the LAMOST results. Therefore, the proposal of the LAMOST-Kepler project was well received in 2010 and the first observations for the project were already done during the test phase of LAMOST in early 2011. The scientific observations of the Pilot survey began on October 24, 2011 while the Regular Survey started about one year later, on September 28, 2012. Now that the (first) Regular Survey has ended in June 2017 after the completion of 5 observation seasons.